So of course I love writing, so I spend a lot of my free time writing stories, but also just daydreaming-up stories I'm never going to write seriously, just to keep myself entertained; even my job involves dealing with stories as I edit, proof-read and reaserch for projects of my own and for other people's projects in both fiction and non-fiction. I love discovering new stories and reliving old favourites. Outside stories, my big passions are football and figure skating. I am a dedicated fan of my local football team Stoke City and am a louder-than-you-might-think season ticker holder. I'm also a big fan of figure skating, which takes up an awful lot of time when I'm trying to not miss out on any major competitions no matter what timezone-related complications arise! My absolute favourite figure skaters include Ashley Wagner (USA), Adam Rippon (USA), Shoma Uno (Japan) and Yuzuru Hanyu (Japan), but there's plenty more I look out for and appreciate. I love nights in watching all the different disciplines and competitions, even if it can be a rollercoaster of emotion at times, not least because I often find my favourites not doing things the easy way! Quite a few of my favourite skaters are prone to never taking the easiest route to success, and I go more for choreography and performance than the technicalities of nailing all the jumps, but that's not to say I don't keep a close eye on the scores. Besides skating, I take an interest in a lot of random things here and there, especially aspects of history and geography, including my second home Seychelles especially and also the C18th pirates I've researched for work. So as stories are my big interest, I feel like I really need to mention a few of my absolute favourites (besides those I've seen in the theatre!) My television loves are a mixture of drama, comedy and hard-to-define. I'm a big fan of Red Dwarf, The Mighty Boosh and Jeeves And Wooster, and Frasier and Will And Grace are two of my favourite comfort-watches. My favourite go-to dramas are Charmed, Father Brown, Ghost Whisperer, Hotel Babylon and Sapphire And Steel, and I'm also a very big fan of CSI (Las Vegas.) Smash was another favourite of mine, mostly because I loved that there was something on TV using real theatre people in its cast and giving a little taster of that world. Another big favourite of mine was Jane The Virgin, where I loved its characters, humour and style, but think it lost something after season three and it was enough for me to stop watching. My very favourite shows in the world are Veronica Mars and Green Wing. With Green Wing, I loved its craziness but also its characters and I would love to one day create something as simultaneously crazy and beautiful as that show was! 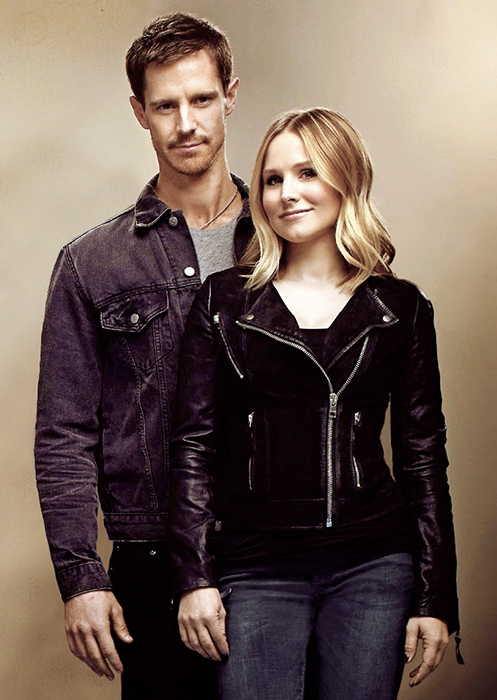 Veronica Mars holds a special place in my heart and I am proud to have been one of the 91, 585 Marshmallows who helped ressurect the show as a movie in 2014 - the Logan and Veronica relationship fascinates me and the character of Logan Echolls and his development is something I loved watching. As for authors, my favourites are Marian Keyes, Mhairi McFarlane and P.G. Wodehouse. When it comes to films, I am a shameless romantic comedy fan - I just find them comfortingly predictable! You can read some of the fanfictions I have written for my favourite stories on my Fanfiction.net account. As you will be able to tell from my Stage Door Playlist, I have a really wide-ranging taste in music that is pretty much all over the place! I listen to everything from really cheesy pop to obscure indie bands and music I remember from when I was a kid. However, I do have my favourite artists: Busted, Mark Owen and Taylor Swift are probably the most important to me, but beyond them most music I get will come from TV soundtracks or recommendations via my other interests. When it really comes down to it, though, there is no band which comes close to meaning as much to me as Take That - as a four was my favourite, but they're my favourite band in all their forms. Jason is and always will be my favourite member of the band and the one I most identify with, but everything about Take That means a lot to me. Their music is very close to my heart, as it has been there for me through all the hardest times and the best times of my life. They have brought me some wonderful friendships and memories as well, and I have found myself a lovely home amongst the Take That fandom, writing fanfiction about the band, including one particularly long AU known as 'Barlow's Music Shop'. I adore the entire Take That story, the friendships, the music and the live shows, and the times I've been lucky enough to see them live with fellow fans I met through my fiction are some of the best experiences I have ever had in my life. My name is Malinda, and I am a writer, proofreader and researcher from Stoke-on-Trent, England, although I grew up both there and on the island of Mahe, Seychelles, where I am still based part-time. Some of my passions are football, theatre, music and figure skating, and above all I love stories. Although I'm usually shy and quiet at first, once you get me talking about something I love, then it's difficult to get me to stop! I'm also completely incapable of staying silent at a football match, and when it comes to stage door, I've developed something of a bold streak! I started this website after publishing my book of short stories, also called At The Stage Door, in 2014. The book began as a university assignment that kept on growing every time I found myself back at the stage door, inspiration being triggered by everything from things I saw to the people I met, and even just standing at a stage door is always an inspiring experience to me and always will be. Once the book was completed, I was reluctant to stop telling my theatre stories and I realised I wanted a way to share the fact behind the fiction, letting more people in on the wonderful people I'd met at stage doors who had so inspired me and the adventures which had first drawn me into the stage dooring world, all whilst hopefully helping out other people who would like to get closer to the world of the stage door. You can find out more about me on Livejournal or Tumblr, or the other sites below, or visit my contact page for other options. I am Stoke City FC until I die and no matter how much they may sometimes frustrate me, I will always be cheering my Stoke lads on and fighting their corner against all the people who try to tear them down! My dad - also born and bred in Stoke-on-Trent - took me to my first match when I was six: it was a local derby with Port Vale and Stoke lost, but I kept on coming back, gradually teaching myself about the game and starting to become interested more and more in the football, whilst also developing a real affection for the sense of camaraderie, team spirit and community pride which I feel is so much a part of the fabric of my club. I'm now a proud, loud, Boothen End season ticket holder and I've travelled to many an away match as well in support of my team; I've skipped out on trips to Seychelles in order to be there to support my team because I get so crazy and superstitious about it when I'm not there in person to cheer on my team, and I don't let up in shouting and chanting and urging my lads on until the final whistle is gone no matter what the result or the performance. Negativity and moaning drives me mad, but so do lazy or arrogant players; I'm all about loyalty and team spirit and my favourite players have always been those who represent the heart and soul of the team. My weekends are dictated by games, and I keep track of every game which affects my team in some way. Football is my biggest passion after the theatre, and in many ways, the drama and adrenaline rush is similar! I just love the character of my city and of my club's fans, and even though it drives me crazy, I'm pretty much in it for life with my football team. So of course I love writing, so I spend a lot of my free time writing stories, but also just daydreaming about anything and everything. Really and truly, there is very little I love as much curling up to create a story, except discovering new stories and reliving old ones. Outside of these stories, and supporting Stoke, I'm also a big fan of competitive figure skating, which take up an awful lot of my weekends as I try never to miss any of the big competitions over the course of the season, especially if I'm rooting for my favourite skaters at one. Some of my very favourite figure skaters include Ashley Wagner (USA), Adam Rippon (USA), Kevin Reynolds (Canada) and Yuzuru Hanyu (Japan), but there's plenty more I look out for and I love nights in watching all the different disciplines and competitions, even if it can be a rollercoaster of emotion at times, not least because I often find myself routing for the underdogs! Quite a few of my favourite skaters are prone to never taking the easiest route to success, and I go more for choreography and performance than the technicalities of nailing all the jumps, but that's not to say I don't keep a close eye on the scores. 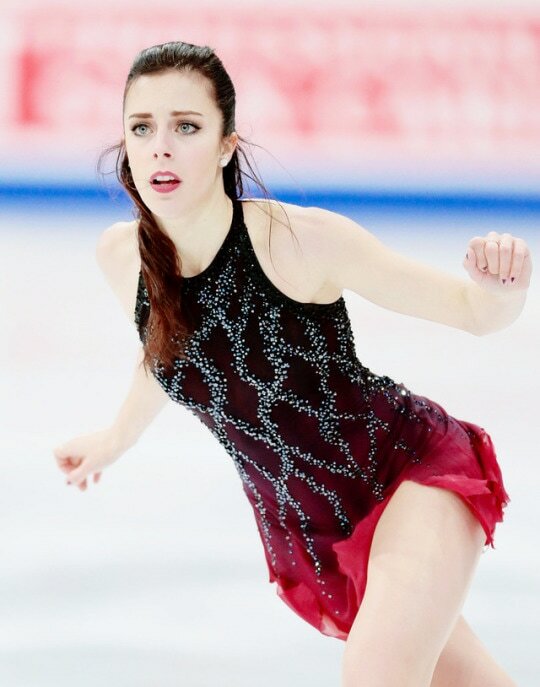 Of all the skaters I look out for, Ashley Wagner is by far my favourite and she's a real hero of mine. I love her ability to perform and emote in a routine and am inspired and amazed by her fight and sass, Besides skating, I take an interest in a lot of random things, especially aspects of history and geography, including my second home Seychelles especially and also the C18th pirates I've researched for work. So as stories are my big interest, I feel like I really need to mention a few of my absolute favourites (besides those I've seen in the theatre!) My television loves are a mixture of drama, comedy and hard-to-define. I'm a big fan of Red Dwarf, The Mighty Boosh and Jeeves And Wooster, and Frasier and Will And Grace are two of my favourite comfort-watches. My favourite go-to dramas are Charmed, Father Brown, Ghost Whisperer, Hotel Babylon and Sapphire And Steel, and I'm also a very big fan of CSI (Las Vegas.) Smash was another favourite of mine, mostly because I loved that there was something on TV using real theatre people in its cast and giving a little taster of that world. Another big favourite of mine was Jane The Virgin, where I love its characters, humour and style, but think it lost something after season three (#michaelcorderojrderservedbetter). My very favourite shows in the world are Veronica Mars and Green Wing. With Green Wing, I loved its craziness but also its characters and I would love to one day create something as simultaneously crazy and beautiful as that show was! Veronica Mars holds a special place in my heart and I am proud to have been one of the 91, 585 Marshmallows who helped ressurect the show as a movie in 2014 - the Logan and Veronica relationship fascinates me and the character of Logan Echolls and his development is something I loved watching. As for authors, my favourites are Marian Keyes, Mhairi McFarlane and P.G. Wodehouse. When it comes to films, I am a shameless romantic comedy fan - I just find them comfortingly predictable! You can read some of the fanfictions I have written for my favourite stories on my Fanfiction.net account. As you will be able to tell from my Stage Door Playlist, I have a really wide-ranging taste in music! I listen to everything from really cheesy pop to obscure indie and rock bands. However, I do have my favourite artists: Busted, Mark Owen and Taylor Swift are probably the most important to me. When it really comes down to it, though, there is no band which comes close to meaning as much to me as Take That - as a four was my favourite, but they're my favourite band in all their forms. Jason is and always will be my favourite member of the band and the one I most identify with, but everything about Take That means a lot to me. Their music is very close to my heart,as it has been there for me through all the hardest times and the best times of my life. 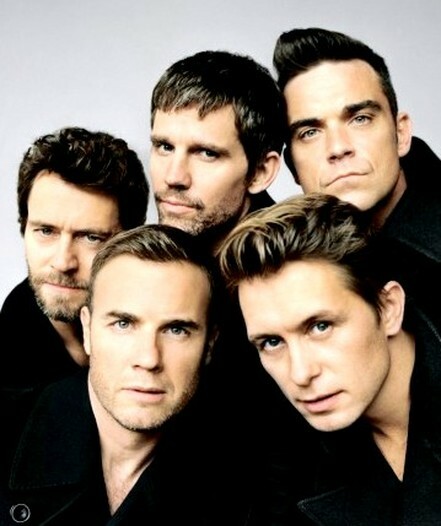 Being a fan of Take That has brought me some wonderful friendships and memories as well, and I have found myself a lovely home amongst the Take That fandom, cementing my reputation as an author of fanfiction about the band, including one particularly long AU known as 'Barlow's Music Shop'. I adore the entire Take That story, the friendships, the music and the live shows, and the times I've been lucky enough to see them live with fellow fans I met through my fiction are some of the best experiences I have ever had in my life. Cats the musical. The first time I saw the show I was six, and my parents surprised me one half term with a trip to see it in the West End. Incredibly, once the show was over, they didn't actually think I'd been that moved by it. What they didn't realise was that I had enjoyed it so much I simply didn't know how to express it! I was so quiet about how much I'd loved the show that I had to beg my mum to buy me the video of the show when it came out a few months later, and eventually she was persuaded to buy me the video, which I proceeded to watch almost every weekend for the next year; it became my Saturday ritual when I got home from ballet to stick the video in and dance and sing along. The characters, the dance, the music, the themes, the beauty, the spectacle, the possibilities for all those different interactions and background details...I loved it all! The whole idea of the Jellicle Tribe and the mythology around it, combined with the pure magic of the dancing and the way that seeing it live simply transports you, just had me hooked. 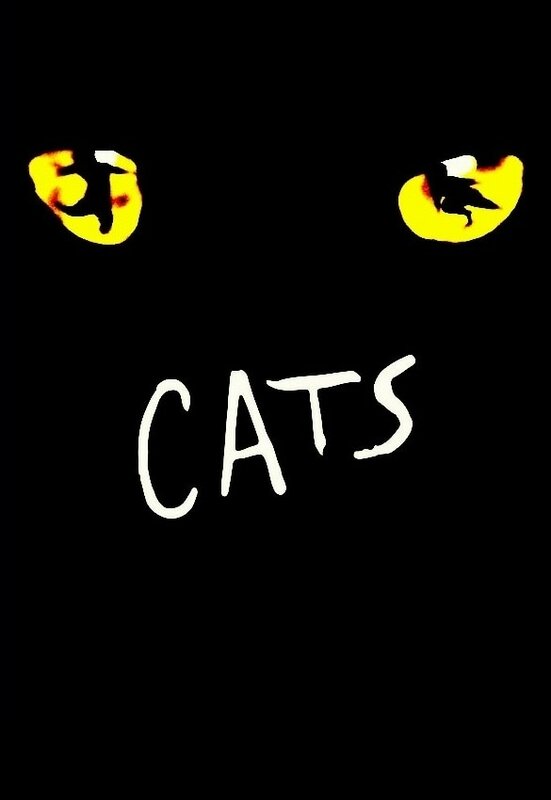 No matter how long it went between seeing it live, I just fell in love over and over again with the show - nothing compares to the power of seeing Cats live at all. With Cats more than any other show, no two performances - and no two casts - ever present you with quite the same version of the show. Everyone brings their own interpretation to everything and every night the characters sitting in the background differently to what's going on. It's unique and it holds a unique place in my heart, and the words from Memory "Sunlight through the trees in summer, endless masquerading, like a flower as the dawn is breaking, the memory is fading" will forever send shivers down my spine. When Cats went on tour in 2006, I was unexpectedly thrown, headfirst, right into an adventure which ending up going beyond the magic of a new, incredible cast performing my favourite show. 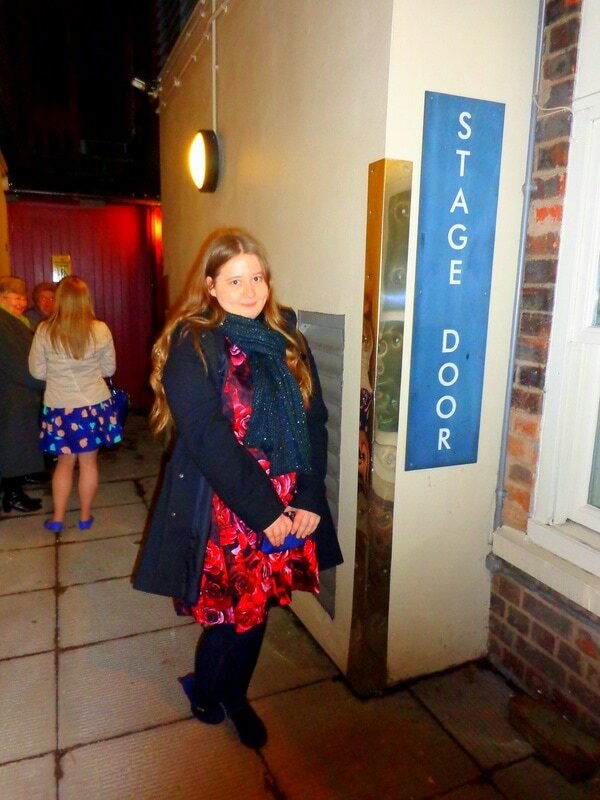 I went to more performances, I went to the stage door (time and time again! ), and I discovered a whole new layer to the show I loved by meeting the people behind the make-up and growing close to them. Because suddenly it wasn't just about the amazing show; it was about this whole magical world of the theatre, about simply being in a theatre, and about dressing up for it and breathing in that distinct smell of a theatre. And then it was about after the show as well - it was about laughter and stories which could be found spending time at the stage door and all these fascinating, brilliant people, who brought yet more stories and joy with them. Being there to support such wonderful, talented people became just as important to me as the shows and, in turn, stage door became more than just meeting people in Cats, but instead became supporting friends and catching up on gossip and good times. The thing about the theatre is that it is its own little world within the world; it has its own language, its own rules, its own people and its own stories to tell. The theatre is about the things I love most; magic and wonder, and it is as close as most people ever come to impossible, incredible things. In the dark of an auditorium, anything could happen, and everything is heightened and beautiful. To me, spending time in a theatre is an event in itself and I don't think there are many experiences which quite compare to a live show.